In a few short years, Warframe has evolved from just a few planets and missions to a sprawling loot-shooter, with over 50 different warframes and more than 300 weapons. Each one sports a customization with hundreds of choices to customize stats and abilities. That makes picking a single “best build” for pretty difficult. With that in mind, this list focuses on the best warframes, weapons, and sidekicks that are available early in the game. While there’s some synergy, there are very few hard and fast weapon/warframe pairings, and you’ll have to vary your combinations based on the enemy, mission type, and location. Over time, you’ll unlock more weapons and warframes, and likely end up with a variety of builds for different situations and moods. Item choice is largely based on popularity, as determined by Riven Disposition, and from a small clan of end-game Eidolon hunters and Sortie conquerors. The information, tips, and builds around these items comes from the Warframe Wikia, the Warframe Subreddit, Digital Extreme’s Forums, and the Warframe Builder website. Count on Rhino to make a game about space ninjas seem almost boring. His straightforward ability set and tanky disposition make him an excellent choice for missions where you don’t want to worry about dying, or even consider it as a possibility. It’s all about his second ability, Iron Skin, which creates an extra layer of armor on top of your existing health and shield pool. As long as you keep picking up energy orbs, you can refresh the shield as soon as it runs out, protecting you from any real danger. Since you can rely on Iron Skin to keep you alive, it’s worth focusing heavily on ability strength, at the cost of duration. Fleeting Expertise and Transient Fortitude are both great options to improve your damage dealing, and Flow or Primed Flow are a must if you have them. Range can help ensure you hit plenty of enemies on your charge, and that your roar can reach all of your teammates. On almost the opposite end of the difficulty spectrum, the infection known as Nidus has no shields, and instead asks you to chain his abilities together to keep yourself alive. 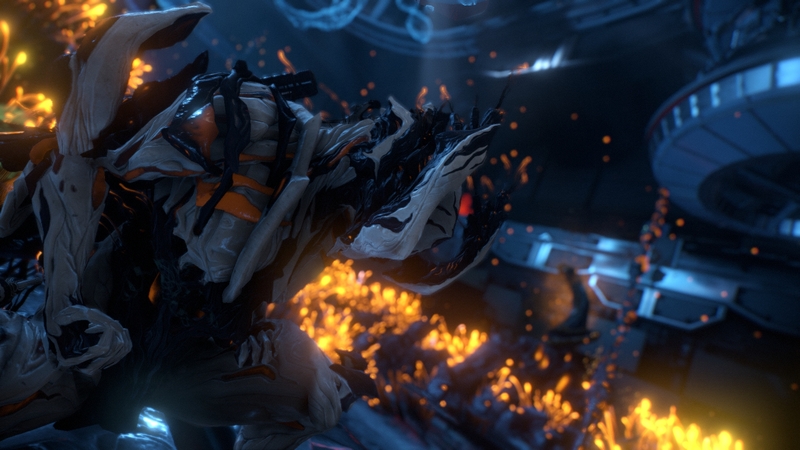 Once you’re used to the constant demands of feeding a living virus, Nidus can deal an awesome amount of damage, with excellent crowd control. He also builds differently than a lot of other warframes in the game. You’ll have to drop your normal shield-boosting mods in favor of power and ability range to help your first two abilities hit as many enemies as possible. This will help you continue to build charges on the Mutation gauge, improving your power and letting you cast your third and fourth abilities. Plus, Nidus’ passive ability, Undying, will bring you back to life immediately if you die, assuming you have at least 15 Mutation stacks. 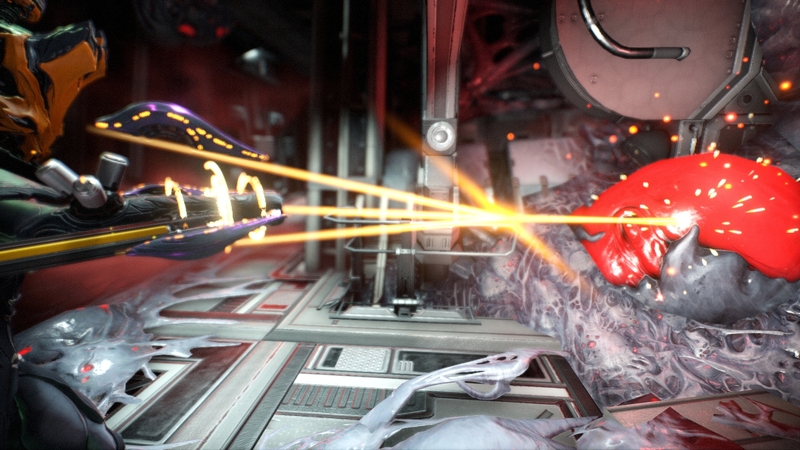 Like a lot of Warframes, Nidus is all about chaining your abilities together, keeping your energy up, and cashing in those mutation points at the right time. If you’re looking to spend more time helping your teammates, Oberon is a great choice, and he doesn’t sacrifice your ability to solo and deal damage. He specializes in area of effect damage and healing, which great for dealing with swarms, crowds, and defense missions. Oberon’s first and second abilities help you deal some extra damage, but the third ability, Renewal, is where the magic happens. A field of flowers springs from the ground, healing allies inside over time. It lasts until you manually cancel it, but it will drain your mana, depending on how many people are inside, and how hurt they are. When building Oberon, you want to build towards ability strength and range, allowing your abilities to affect more enemies and allies, and deal more damage or provide more healing. Rage can help convert damage you take, which Renewal will heal, into more usable energy to heal your teammates. 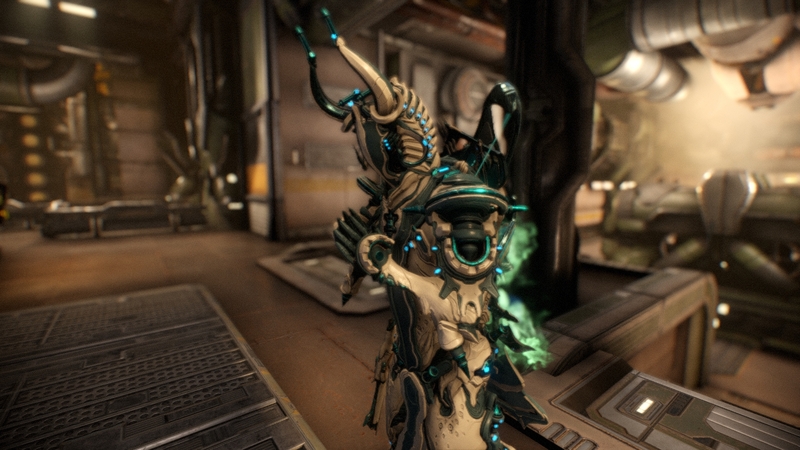 The dragon Warframe Chroma has a unique trait that’s quite useful for end-game missions. You can adjust his ability damage type and traits by changing his color scheme. You can set the different appearance loadouts to different color sets for the proper elements against each enemy. Chroma really shines in boss fights. His third ability, Vex Armor, converts damage Chroma takes into extra weapon damage. Turn it on, let some of the trash mobs attack you, then deal up to 275 percent more damage with your best weapon. This can quickly shred even the most dangerous boss’s health, making Chroma an excellent addition to any team for Sorties or Assassination grinding. Apart from the exciting damage boost, Chroma’s abilities are mostly AoE focused, and either deal damage, or boost teammates, depending on which colors you choose. However you choose to outfit Chroma, we recommend building for Ability Power and Ability Duration, so you can make the most out of the awesomely powerful Vex Armor. The definition of glass cannon, Mesa deals wild amounts of damage to single targets, at the cost of a small health and shield pool, and only one true defensive ability. Instead, you’ll have to keep moving and dispatch your enemies quickly to stay alive. Fans of Blizzard’s Overwatch may recognize Mesa’s ultimate ability, Peacemaker. When activated, you stop in place and hold the trigger to unleash a storm of bullets at your enemies without having to aim. You can either let it run until you run out of energy, or stop it by pressing the ability key again. Mesa’s relatively low defense capabilities definitely require a deft hand and quick parkour skills. As a reward, you’ll deal massive amounts of damage, and tear down bosses quickly, assuming you survive. Building up your ability power, maximum energy, and duration will give you the best fighting chance. I don't mind admitting that I slept on Garuda a little bit when she first launched, but my eyes have really been opened to her destructive potential. Her Dread Mirror ability will form a shield that absorbs incoming damage and form a Dread Heart. The Dread Heart will float above her until you decide it is time to unleash all that stored damage in the form of a charge projectile. She also has an AOE heal, can easily regenerate energy, and has a large AOE damage ult. The real strength of the kit is in that first ability though, it can do ridiculous damage. Build into range and ability strength to really take advantage of this Warframe. 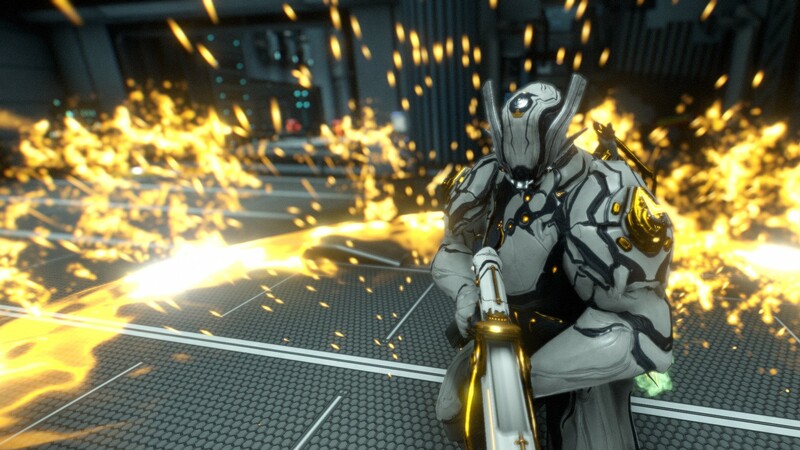 Warframe encourages you to build and master as many weapons as possible. Not only does this build up your Mastery Rank, allowing you access to new content and weapons, but it also provides you with a lot of options for challenging missions. The three guns listed below are available early in the game, and can take you all you all the way through the end-game content. At some point you are going to get hunted by the Stalker, and it is something I would actively encourage you to try and make happen if you are new to the game. 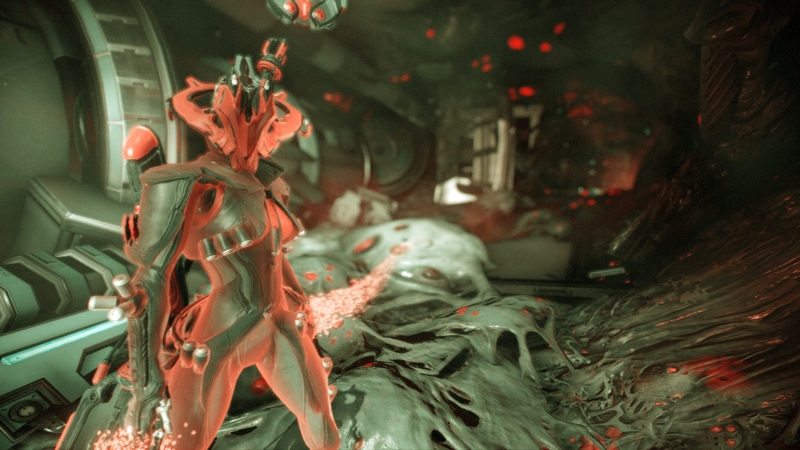 The Stalker will come after you if you kill bosses, and you should be trying to do this to get access to new Warframes. If you manage to kill the Stalker, you can get the Dread, arguably the best bow in the game. It combines solid damage with a high critical chance and multipliar, making it something that can actually bring you into the end game without much issue. Mod this for damage, critical chance, and multishot and throw on some elemental damage mods and you have yourself one hell of a weapon. 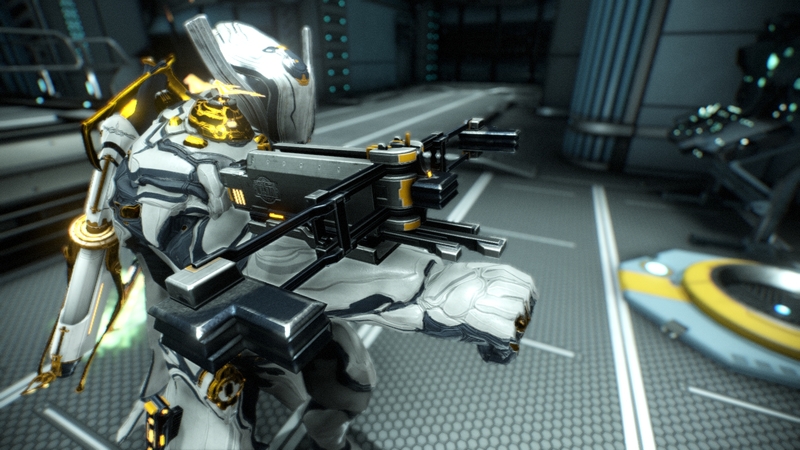 Like Braton, there’s no real secret to building this rifle. Pure damage from Serration is always great, and multishot mods like Split Chamber can take some of the hurt off Latron’s fairly slow fire rate. Once you’ve reached Mastery Rank 10, you can make the move to the massively powerful Latron Prime. Bolstered in power by your well practiced accuracy and patience, you’ll become a deadly machine, as long as you stay far enough away from the threat. For the shotgun fans, Hek is available at Mastery Rank 4, and packs all of its pellets into a narrow cone, for high stopping power at short range. It should feel familiar to classic shotguns, so you can charge through huge crowds and tear them down quickly. In addition to building for raw damage, Hek has its own augment mod, Scattered Justice, that provides punch-through and a unique ability. Collecting enough affinity with Hek will cause a blast of AoE damage, and restore some of your health. No real secret there, just keep killing to stay alive. Shotguns in Warframe also have the advantage of high status chance, thanks to more pellets hitting the target. You can use this to your advantage to boost more powerful status effects in situations where you won’t kill the target on the first hit. Your offhand weapon isn’t just for when you run out of ammo. You’ll end up using it in a variety of missions and situations, not the least of which being your last line of defense if you get downed. Like primary weapons, it’s worthwhile to build and configure a number of secondary weapons for different situations and enemy types. Secondary weapons are often pistols, or shotguns—something useful but not very exciting. Instead, the Sonicor straps an audio gun to the back of your wrist, throwing enemies back with every blast. The in-game codex describes it as “very satisfying” and we’re inclined to agree. It doesn’t deal a lot of damage, and it’s only impact, so it’s really useful for knocking enemies back and stopping them from setting off an alarm or finishing you off in a bad spot. Don’t bother with any slash or puncture mods, so instead build for pure damage and status chance. 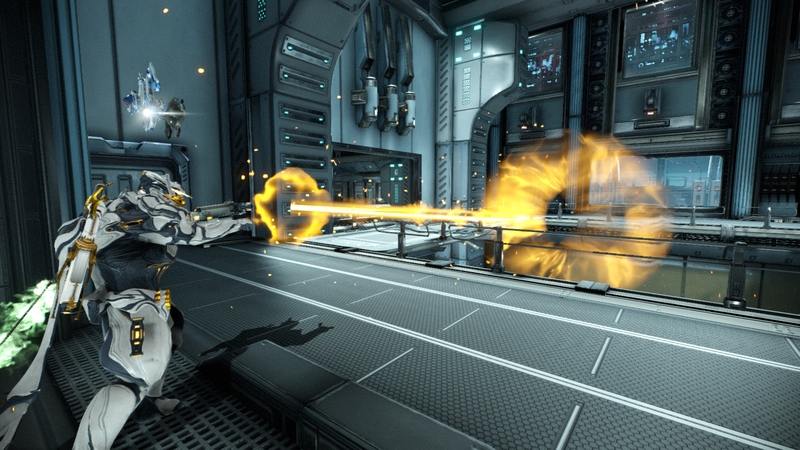 The Sonicor’s downside is mostly that it requires two Argon Crystals and 600 Oxium to build. They aren’t too rare, but you’ll have to watch the alerts for a day or two to grind them up. Still, it’s hard to deny just how fun it feels to use, and it’s well worth the wait. Continuing our run of non-traditional secondaries, the Gammacor fires laser beams and deals innate magnetic damage, stripping away Corpus shields with ease. It’s not quite as satisfying as the Sonicor’s audio blasting power, but it does feel pretty good to melt enemies. You should take the Gammacor’s high status chance and run with it, boosting up the status damage and multi-shot to bring the most pain to any faction. The multi-shot mods, Barrel Diffusion and Lethal Torrent, help increase your laser’s speed and damage. Down the road, if you find yourself using the Gammacor a lot, the Synoid Gammacor comes from the Cephalon Suda syndicate rewards, and is worth the upgrade. It boasts higher stats almost across the board, with a slightly slower reload speed. 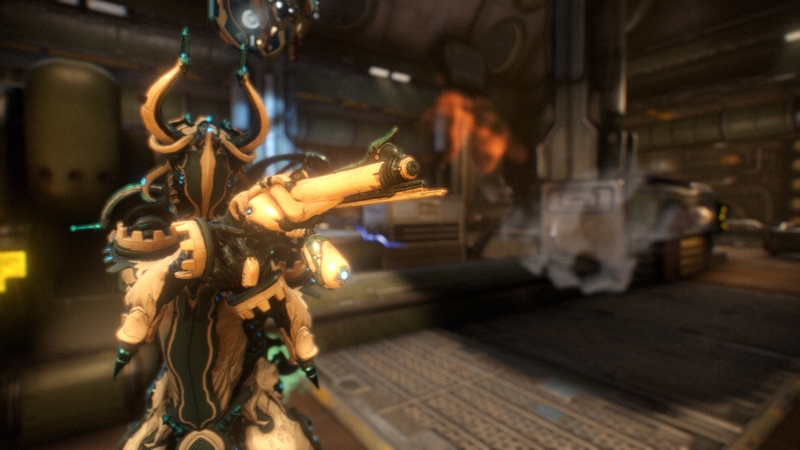 Rounding out the secondary weapons, the Grineer Marelok boasts high base damage, and importantly, status chance. Effective use of multi-shot boosting and status mods can boost the chance this high recoil weapon hits its target, or one nearby. As the Warframe Wikia page, and a number of community builds, suggest, the best way to build Marelok is by leaning on its already-high status chance. Lethal Torrent, Barrel Diffusion, and a combination of the gold status damage/chance mods (Jolt, Scorch, etc) can push the status chance to 100 percent, so it procs on every hit. All of those mods are useful in other weapons, and maxing them out should be a priority anyway. The Marelok is a straightforward sidearm with a lot of potential, and it doesn’t need much adjustment from round to round. It doesn’t have the best range though, so you’ll want to stick with a primary unless you’re up close and personal. 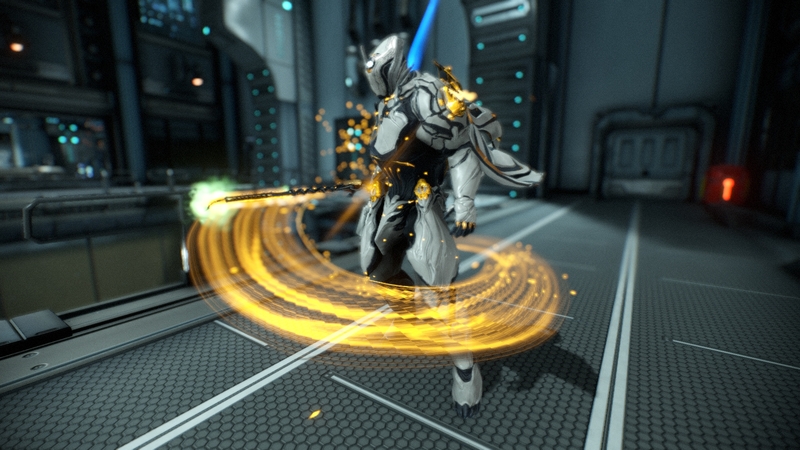 In Warframe, your melee weapon determines both damage dealt and movement pattern. It can affect the way you jump, dive, roll, and slam into the ground, based on the weapon type and stance mod you choose. While Broken War is technically locked until Mastery Rank 10, you can receive it for completing the Second Dream quest after Mastery Rank 3. It’s one of the best one-handed swords in the game, and looks pretty mean to boot. Like most weapons, you’ll want to build for damage and status chance, but Blood Rush can certainly help when paired up with a fast stance. It blinds nearby enemies as you swing, which can help you deliver a chain of devastating blows without taking any damage. It’s worth hanging onto even if you don’t use it that much, because its parts only drop from the Shadow Stalker, so it’s hard to rebuild. It’s also a piece of the larger War greatsword, which is great for fans of giant, sweeping weapons. 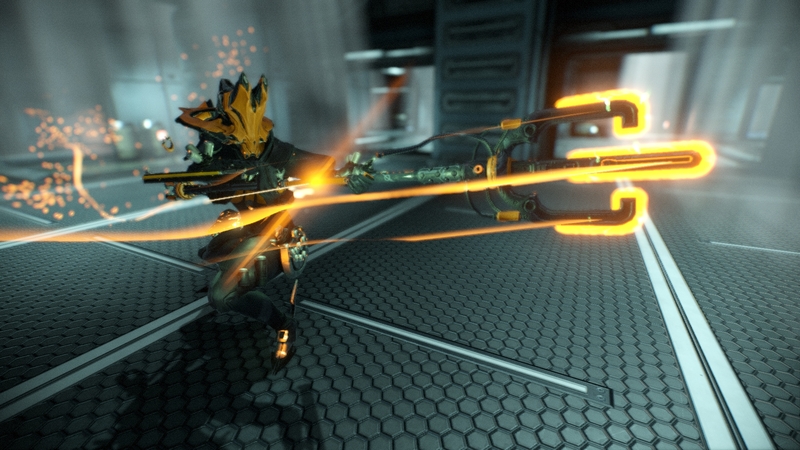 Stab, poke, and jab your way to victory with this massive Grineer trident. The Sydon, and its older sibling, the Vaykor Sydon, have a high status and critical chance, so they’re great for ramping up the damage during end-game missions. For the best performance, the Shimmering Blight stance drops off level 20-40 Plains of Eidolon Bounties, and will have you striking at lightning quick speed. It’s immediately satisfying, and gives you plenty of opportunities to proc different damage types. You can even enhance that effect with Blood Rush, as shown in this popular community build. Once you’ve got the hang of it, the Vaykor Sydon is a nice upgrade at Mastery Rank 8, and is available through the Steel Meridian Syndicate. The Atterax is largely the king of the “Spin To Win” method of farming. By combining certain mods, this thing can do insane damage, but it is also worth getting for beginners. While you need specific mod sets to get the most of it in the late game, in the early game it is very viable. Built range, damage, attack speed, critical chance and elemental damage and you are good to go. You can get your hands on the Lesion at Mastery Rank 7, and it is something I use constantly in the late game. Amazing status chance means this thing will rip enemies apart when combined with mods like Condition Overload, some elemental mods in the form of Dual Stat mods that give both Status Chance and Elemental damage, and some attack speed.